Jimmy and Thessa McCoy moved to Hawassa from Shiloh Church in Oakland with their three children 18 months ago. 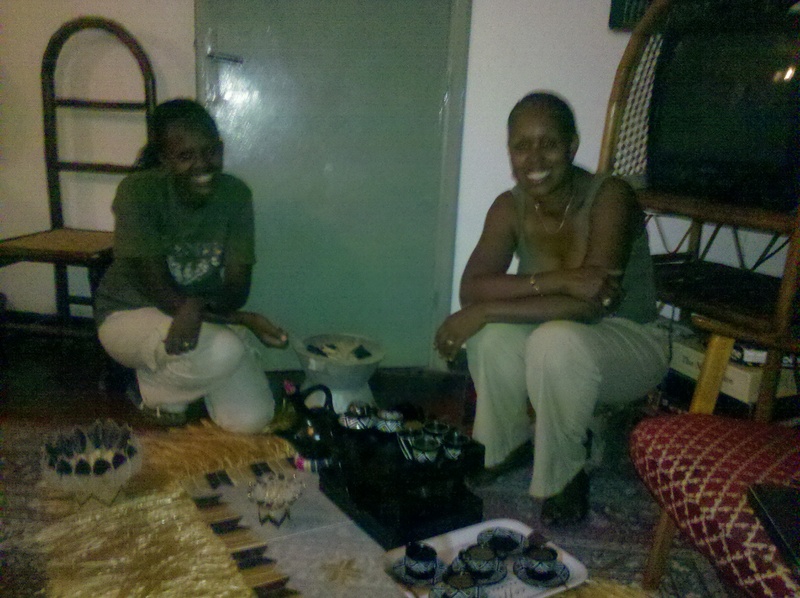 They greeted us in their home with an Ethiopian coffee ceremony which involves roasting freshly picked coffee beans, grinding them with a mortar and pestal and pouring the boiling water over the grounds. It’s served over a grass mat along with popcorn. Drinking three demi-tas cups has been customary since the drinking of coffee was introduced to the world by the Ethiopians. 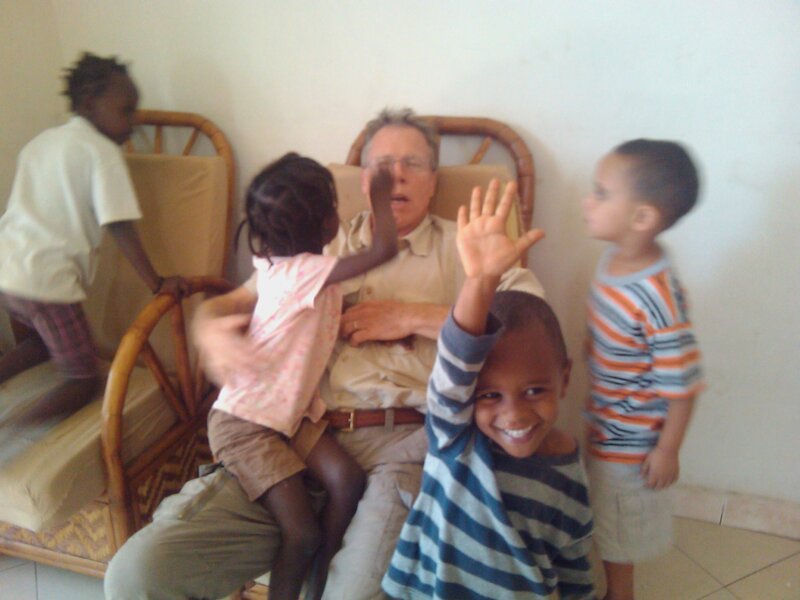 The McCoys are involved in teaching at the Bible College, and ministering to the men, women and children of Hawassa as well as home schooling their three children. 1/20/12 was the date we landed in Addis Ababa from Jordan. We were met in the morning by Gary and Felecia at our hotel following their anniversary celebration the previous night. The drive to Hawassa was strikingly different from anything we had seen in the middle east and took 5 hours to reach our destination. We arrived at the Shiloh Bible College compound and were treated like royalty. Gary and Felecia have given us a room upstairs viewing the bilbe college and all that week we were introduced to the multitude of their friends. It was very busy and there was know way we could possibly understand all the information we were given to help us assimilate into this new way of life in which we were being immersed. We were also introduced to a number of the ministries connected with Fire Over Africa and became intimately connected with two of them; one that you see pictured here with orphans and another with some of the teenage street youth of Hawassa. Both Claire and I began filling our week with bible college classes, learning Amharic with the help of two university students and adjusting to the constant ebb and flow of the Ethiopian culture. 2/28/12 Sorry we’ve been so neglectful in keeping you, our friends and family so far behind in our journey! Since our last entry we went south to Acaba, Israel, Chuck recovered from his bronchitis and then we crossed the Jordan border. 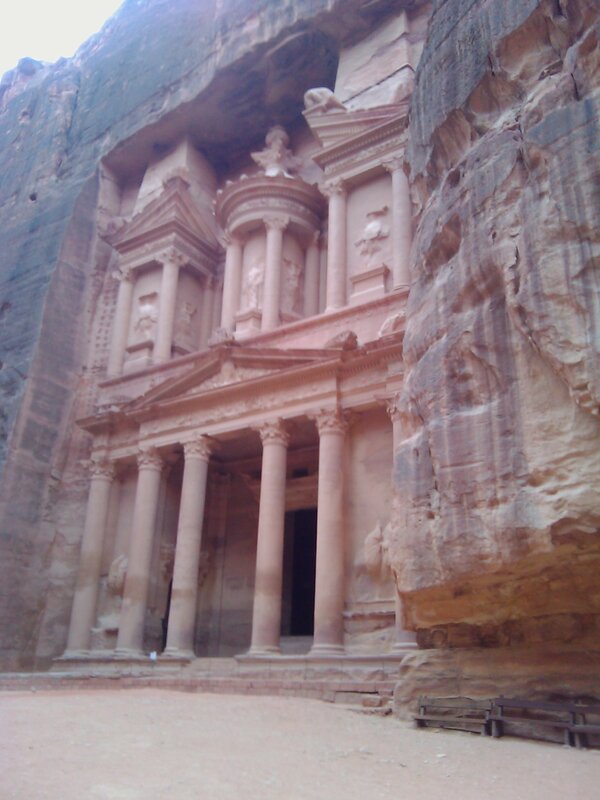 We stayed in Petra to see the area where Raiders of the Lost Ark was filmed. The pictures here do not do the area justice. 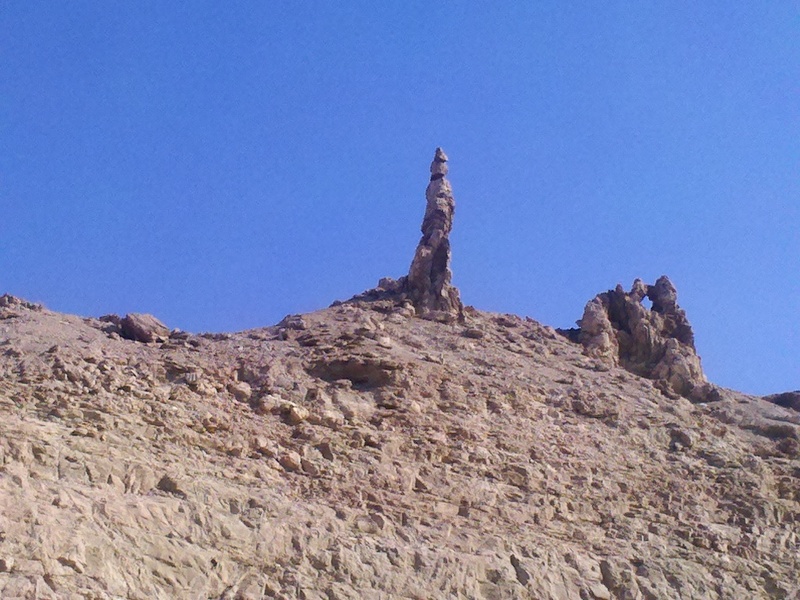 It was one of the most spectacular geological sights we’ve seen! We continued north along the eastern shore of the Dead Sea passing by Lot’s wife who had been turned into a pillar of salt, then on to the place Jesus was baptized in the Jordan River. We stayed a few nights in Madaba before flying out of the Amman airport to meet Gary and Felecia in Addis Adaba, Ethiopia on Jan. 20. 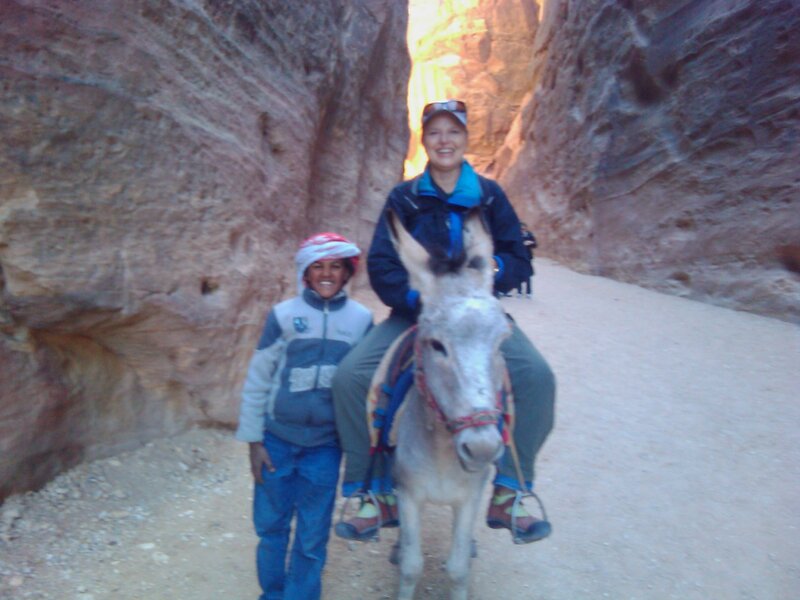 The Jordanian people were very friendly and it was a pleasant break from the spiritual oppression of Israel!